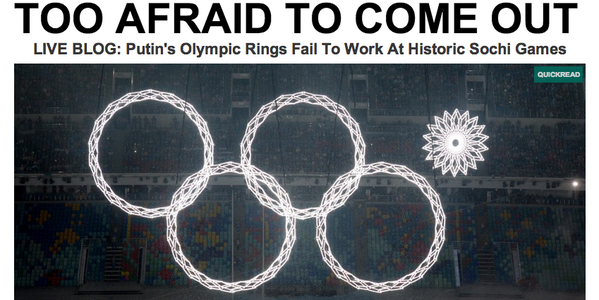 The minor technical hiccup during Sochi's opening ceremony set the internet ablaze with jokes. Because internet. The following are the best of the internet's reaction to this inconsequential technical difficulty. The fifth ring that didn&#39;t open is just a tribute to Bob Costas&#39;s eye. The fifth ring that didn't open is just a tribute to Bob Costas's eye.